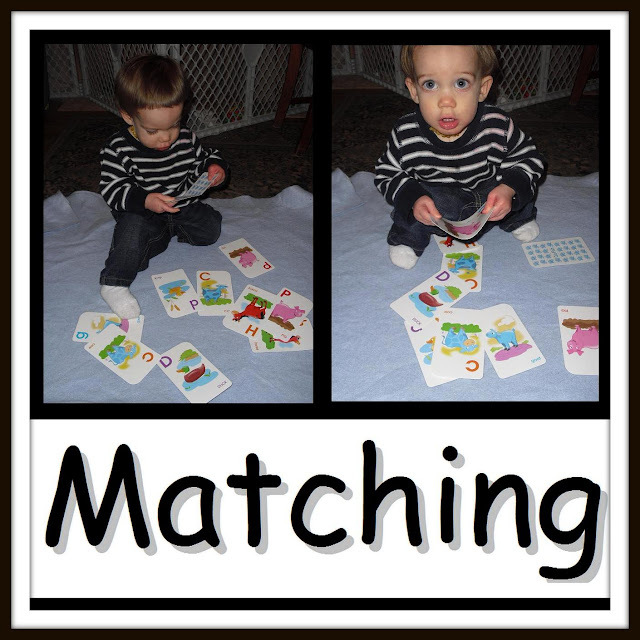 This week I introduced the concepts of matching and sorting. This is still a very abstract idea for JJ so even though we did some sort of activity involving matching or sorting everyday I wasn't sure he really got it. He never wanted to participate much and would never initiate these activities. Most of the time he was happy just to sit and watch me sort a variety of objects. The most involved he got was when we ran around the house locating objects for a matching game. So you could imagine my surprise while feeding him dinner tonight, he sorted all his berries! 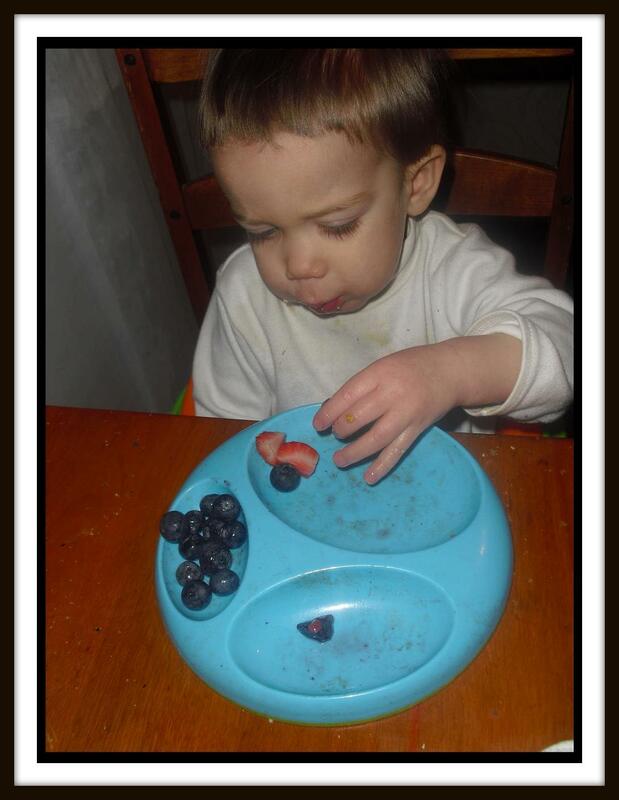 Daddy had given JJ a big ol' pile of blueberries, strawberries, blackberries and raspberries haphazardly plopped on his plate. JJ then proceeded so sort them very studiously 1 by 1 just as I had modeled with his trolls earlier in the week. So even though it may not seem like your child is ever 'getting it' don't give up because they might just shock you in an unexpected way. This week for sensory exploration I made gak, slime, ooze, oobleck or whatever you wish to call it. Basically it is a non-Newtonian fluid that changes viscosity with friction or pressure. JJ was mesmerized by the it. He was a little iffy about touching it at first but then he start to really enjoy it. He likes this a lot more than play dough and finger paint. He loved it most when I would pick up a somewhat firm ball of gak in my hand the let it dribble out of my fingers. We would also try and play a variation of hot potato by passing the gak back and forth quickly before is dribbled away. We talked about thin and thick viscosity, hard and soft pressure and fast and slow friction. I put the water in a bowl, added the food coloring first then slowly stirred in spoons of corn starch until the gak was a thick peanut butter consistency if stirred very slowly. 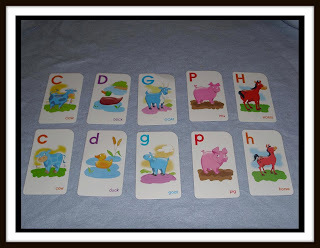 This week I got JJ several sets of basic flash cards, such as, this version of fish and some picture word cards, so that we could start working on some matching activities. 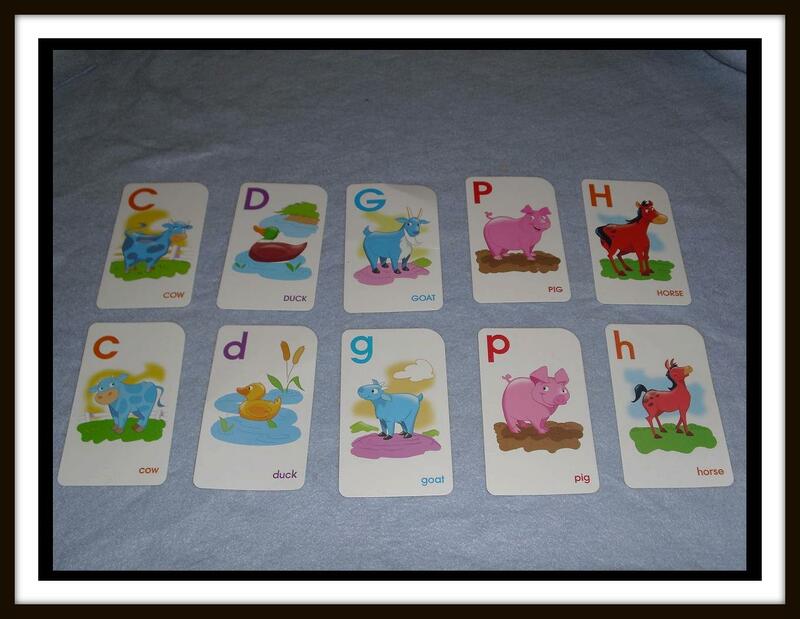 I really like the fish cards because we were able to use them to match animal adults and babies. We mainly did this by matching the animal onomatopoeia. James had more fun with the picture cards. First I selected 4 cards for objects that I knew he would recognize. We then went on a scavenger hunt around the the house to find these items and then we put them in a little bag. 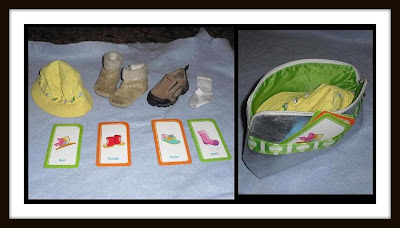 I would lay down the cards and have James dig through the bag and pick out items to match with the cards. 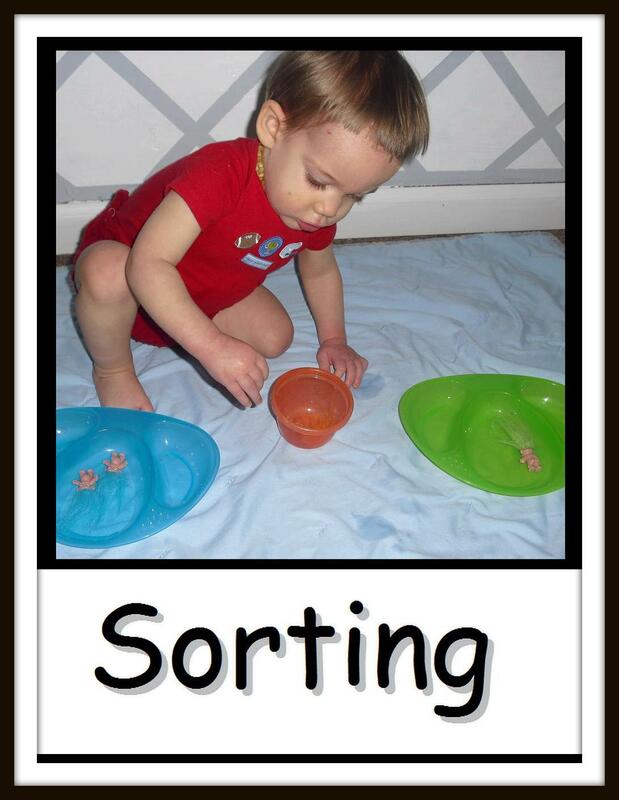 This entire activity contained motor skills, as well as sensory and cognitive. James is an active boy and a I think he is going to become a kinesthetic learner if he is like this when he is older. Does anyone remember the troll craze of the 90s? I do. That was why I was stoked when I found a set of 20 mini and small trolls on ebay. I thought that they would be perfect for counting when JJ was a bit older. I found another use for them the other day. I decided to set up orange, blue and green plates so that JJ could put the matching trolls on them. He wasn't big into this activity. Mostly he just wanted to transfer all the trolls to the orange bowl, then run off. That is okay. What ever is fun. I love when you suddenly realize they've gotten something! It's so fun to see that they are picking things up, even when they aren't participating as we plan!